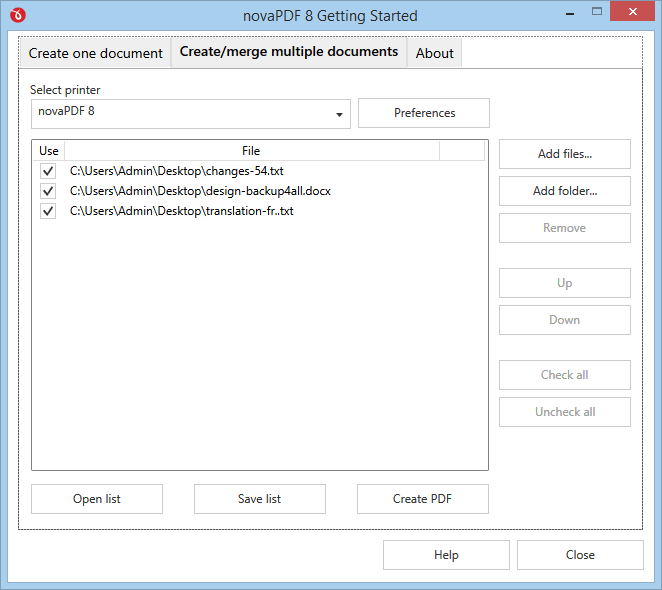 A new version of novaPDF is available, 8.3, with the option to convert multiple documents into a single PDF (merge) or to individual PDF files. This release includes other updates and fixes as well, you can download the latest version here: Download novaPDF 8.3. However, this version is not free for users of previous versions of novaPDF (1.x – 7.x). If you own a previous version and want to test novaPDF 8.3, you can install a 30 day free trial here: Download novaPDF 8.3.